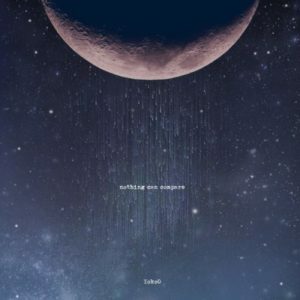 Berlin-based French producer YokoO has unveiled his melodic masterpiece, ‘Nothing Can Compare’, a 14-track album made up of the house veteran’s most eclectic sounds. Famed for his dreamy and thought-provoking sonic style, YokoO has become a full-time globetrotter over the last few years. Made up of his pondering basslines and warm synth riffs, ‘Nothing Can Compare’showcases the best of YokoO’s deeply wistful style, with tracks like ‘The Days I Miss You’ offering a melancholic yet atmospheric feel. Displaying his dynamic diversity and powerful production prowess across the release, YokoO delves into his penchant for the percussive on ‘Duality’ before adding a more swirling rhythmic touch on ‘Letting Go’. “This collection of tracks is the translation of adeep inner explorative journey,” said YokoO. “It somewhat expresses [in a musical way] many of the feelings and emotions I experienced over the last few years, after meeting a woman who changed the course of my life forever. "Previously enjoying releaseson highly respected labels such as All Day I Dream, Musik Gewinnt Freunde, Kindisch, Get Physical, Moodmusic and Plastic City, YokoO has marked out a well-respected spot for himself in the global house scene. With his musical intuition driving his production, YokoO embraces the dancefloor with a dynamic approach. Pairing his forward-thinking melodies with heavy basslines, the French producer has made his mark on the industry via a range of original releases anda back catalogue of sturdy remixes.